What is the nature and purpose of ‘curriculum’ in Higher Education? And what, ideally, should it be? I have found myself increasingly challenged by these questions recently, partly through engaging in a collaborative project that has involved exploring the nature of the university with respect to digital practice, and partly through helping scope a community education initiative that has dual aims around i) widening access to higher education, and ii) harnessing the education programme in question as a means for adult learners to address key social issues within their community. In the very broadest sense, we can think of curriculum as comprising the range of learning opportunities that are offered to learners by their educational institution, within the context of a planned course or programme of study (e.g. Macdonald, 1977; Print, 1993). However, beyond this generalisation, ‘curriculum’ is a contested concept that can be defined and enacted in a range of ways that place different emphases on what curriculum is, where it is located, and who it is for. In a wide-ranging overview that considers what curriculum means for informal and formal education, Mark Smith (1996, 2000) drew upon the work of Grundy (1987) and other prominent curriculum theorists in distinguishing between: curriculum as a body of knowledge to be transmitted; curriculum as product i.e. a means to achieve certain ends in students; curriculum as a process of interaction between teachers, students and knowledge; and curriculum as praxis. 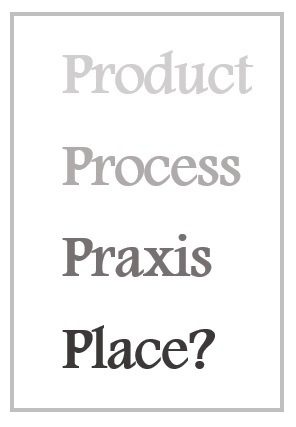 Freire (1970, p. 126) defined praxis as “reflection and action directed at the structures to be transformed”. On viewing the curriculum as praxis, Grundy (1987) suggests that “the curriculum itself develops through the dynamic interaction of action and reflection. That is, the curriculum itself is not simply a set of plans to be implemented, but rather is constituted through an active process in which planning, acting and evaluating are all reciprocally related and integrated into the process” (p. 115). As for how curriculum as praxis might manifest itself within learning and teaching, then a focus on collective understandings, an emphasis on human emancipation, and linking values to interventions designed for a ‘collective good’ are key considerations (Smith, 1996, 2000). When viewing the curriculum as praxis, we are essentially positioning the curriculum – and formal education – as a means to improve society and the human condition. There are important synergies here with the notions of ‘outside curricula’ and ‘public pedagogy’ (Schubert, 2010), and more broadly to higher education – and the right to access higher education – as a public good. Central to the ethos of public pedagogy “is the need for critical educators to act on the belief that academic work matters in its relationship to broader public practices and policies” (Giroux, 2000, p. 34). There are clearly implications here for the role of academics as public scholars, and also the extent to which our curriculum, and the activities of the curriculum, provide our learners with both a voice as public scholars and a platform or means for contributing to social action. We can see examples of higher education curricula being enacted in this way within the sector, the widening access programme alluded to in my introduction being one, and the Student as Producer at the University of Lincoln being a notable example of an institutional initiative. However there is scope to go further. I mentioned at the outset of this post two recent experiences that have challenged me to think about the nature and purpose of curriculum in Higher Education, about what it is and what it could be. A third important influence has been Richard Hall’s recent critique On dismantling the curriculum in higher education, in which Richard addresses how we might realise a curriculum that is engaged, that recognises diverse interests and contexts, and which – crucially – is “full of care”. There is much to be taken from Richard’s work, and I’ll be returning to it. However what I took from it in the first instance was this question – in what ways does our organisation and instantiation of the curriculum within the university limit the curriculum, and education, from being a collective good? I think we can partly answer this question by looking at some of the ways – pedagogical, technological, cultural – through which the curriculum is intentionally or otherwise ‘bounded’ within the university. 1) Our idea of what the curriculum is, and could be, is too narrowly defined within notions of what the university will offer or provide to their students by way of courses and course content. In their considered 2012 review of curriculum models and conceptions for the Quality Assurance Agency for Higher Education, Julia Fotheringham and colleagues look at issues of ownership and participation, and implications for wider society, but where the locus of control of the curriculum is still very much with the institution, accrediting and awarding bodies, and policy makers. Richard Hall, in his recent post discussed above, observes this in a far more eloquent way than I have just expressed it. 2) The modularisation of higher education curricula can result in fragmented learning experiences that are limited to, and kept within the confines of, module and programme cohorts (Savin-Baden, 2008). Unless we are mindful to ‘design in’ interdisciplinary and cross-cohort learning (e.g. within and across formal, informal, and professional learning communities) the organisation of the curriculum within a modularised system arguably simplifies the complexity of the real world. In turn it simplifies the range of ways in which knowledge is created, shared, challenged, and re-created outside of formal higher education. 3) The institutional systems and technologies through which we organise and ‘deliver’ the curriculum often place unhelpful space and distance between learners. Particularly problematic is the information architecture of most Virtual Learning Environments, where by a student is typically represented by a matriculation number that is linked to module and programme codes that in turn determine (at least partially) which learning resources, spaces, and peers each individual is allowed to access. In this respect the student records system and the VLE might be viewed as working in combination to ‘design out’ opportunities for learners to easily cluster around shared needs and interests, and to collaborate across disciplines, levels of a course, and across formal and informal boundaries. 4) Or 3a. ‘Clustering’ is important. For learning, wellbeing, social interaction, and social action. 5) The assessment practices embedded within our curricula often limit what our learners are allowed or able to do with their own intellectual property. Too many forms of assessment result in the intellectual work of the learner remaining within the institution. The problem and challenge here is not simply one of allowing our learners to more easily share their work (as an e-portfolio, blog or personal domain might do). Instead it about who our learners are producing assessed work for, and the purposes for which they could be sharing the knowledge, artefacts and resources they create. I would return here to the notion outlined earlier of our students as public scholars – and as digital public scholars – who are contributing to, and helping to develop and create, public bodies of knowledge. Or who are engaged through the activities of the curriculum in directly addressing a problem, issue, or need for the application of knowledge and skill within their own or another community. 7) Emerging notions of the distributed curriculum, including different conceptions of ‘the community as curriculum’ (Starratt, 2002; Cormier, 2008) offer useful ways of thinking about the nature of the curriculum and how the curriculum can be further reimagined and repositioned within the narrative of higher education as a public good. With further development, the notion of the community as curriculum (and of the curriculum as community) may provide a nuanced extension to the notion of curriculum as praxis. 8) In considering the curriculum as a conduit for education as a public good, we need to reframe the current debate around open education, and open educational practice, so that it moves away from addressing (almost exclusively) open online education, and begins to challenge universities to make greater use of their physical spaces as open spaces for learning. If education is a public good, then universities have to be good (and certainly much better than present) at using both their physical and online spaces for wider engagement. I’m going to return to some of these ideas, particularly in relation to the notion of the distributed curriculum and of curriculum as community, once my thinking is a little clearer. Fotheringham, J., Strickland, K., and Aitchison, K. (2012) Curriculum: directions, decisions and debate. The Quality Assurance Agency for Higher Education. Online [last accessed 23.08.15 http://www.enhancementthemes.ac.uk/docs/publications/curriculum-directions-decisions-and-debate.pdf?sfvrsn=8. Freire, P. (1970 in 2000) Pedagogy of the oppressed: 30th Anniversary Edition. New York: Continuum. Grundy, S. (1987) Curriculum: Product or praxis? London: Falmer Press. Macdonald, J. B. (1977) Value bases and issues for curriculum. In A. Molnar and J.A. Zahorick (Eds.) Curriculum theory, pp. 10-21. Washington, DC: Association for Supervision and Curriculum Development. Print, M. (1993) Curriculum development and design. NSW: Allen and Unwin. Schubert, W.M. (2010) Outside curricula and public pedagogy. In J.A. Sandlin, B.D. Schultz, and J. Burdick (Eds.) Handbook of public pedagogy: education and learning beyond schooling, pp. 10-19. New York: Routledge. Starratt, R.J. (2002) Community as curriculum. In K. Leithwood and P. Hallinger (Eds.) Second international handbook of educational leadership and administration, pp. 321-348. London: Kluwer Academic.